CHIPPERS - The Hard Tipped Chipper is used to chip a straight edge onto a flat smooth stone, such as a monument or building stone tht has been sawed, ground, or polished smooth. It is usually used along a chalk line or with a straight edge secured to the stone. Chippers are often used to chip the final edge onto a stone after the set has been used to produce a rough edge. 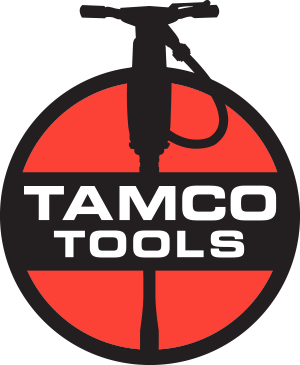 They should never be used to chisel off high spots, or to chip an edge onto rough stone, as rough stone may cause the carbide tip to fracture. 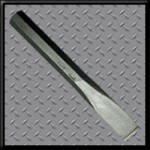 CHISELS - The Hard Tipped Chisel is used to chisel high spots on a stone. It can also be used to trace lines or chip off edges of a stone. POINTS - The Hard Tipped Point is used to remove high spots, or to shape a stone. SETS - The Hard Tipped Set is used to remove material along the edge of flat smooth stone. It is usully used along a chalk line to produce a dimensioned stone. If the stone is not smooth and the carbide rests on a high spot, the carbide my fracture. TRACERS - The Hard Tipped Tracer is used to score a straight line on a stone.